This was a project completed for my Digital Illustration class. We were asked to choose from a list of items, and create a pattern from it. I chose glasses. 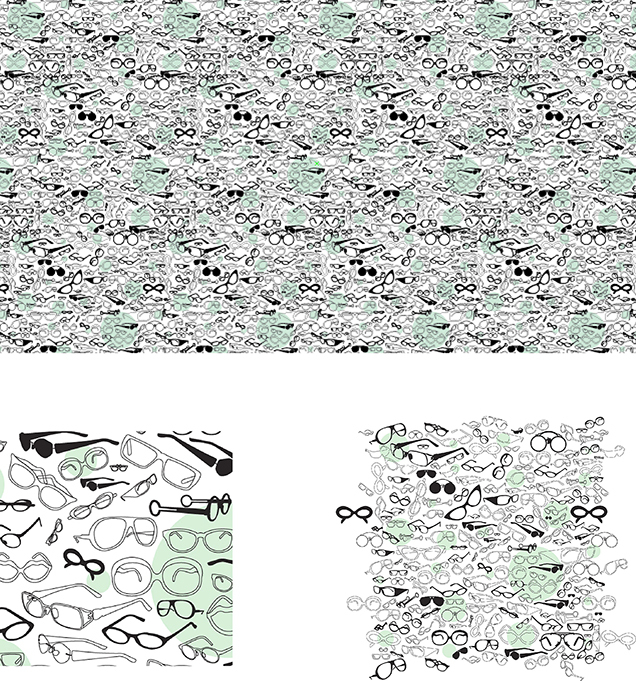 As someone with bad eyesight who has to wear glasses daily, I wanted to create a pattern that reflected the feeling of having your glasses off, then putting them on. From afar, the pattern is textural in nature. As the viewer approaches, or zooms in, the details of the pattern become clear, much like images become clear when you put on your glasses.